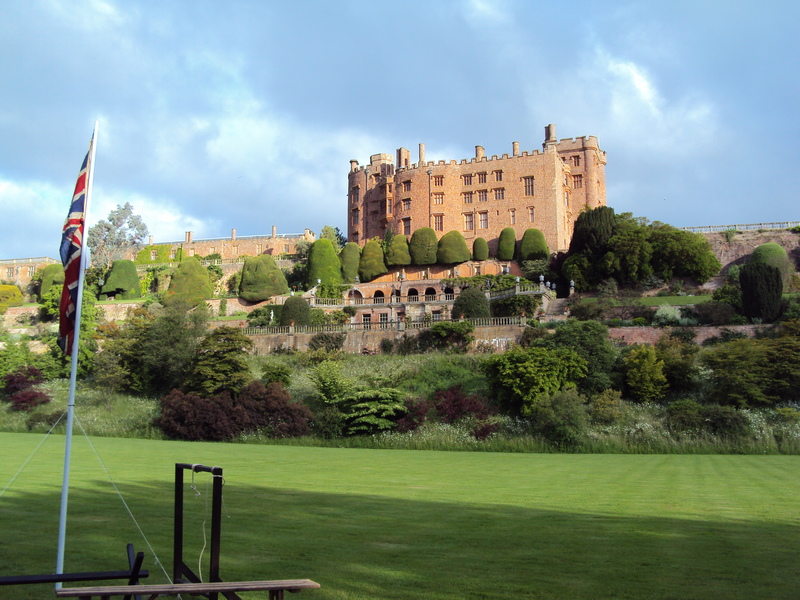 Powis is a spectacular red stone castle that stands on the top of a ridge. Originally defensive, it underwent many changes in the eighteenth and nineteenth centuries to become a comfortable home and museum of items associated with Clive of India. Currently in the friendly care of the National Trust, it provided a dramatic background for its wartime salute to the 1940s when the castle became a temporary home to an evacuated girls’ school. With the dance music of the period floating down the terraced Baroque garden to the lawns, and a couple of now rare lorries parked in the entrance, the atmosphere was quickly set. The military feel of the period was developed by Black Knight Historical who had WRNS signalling, a WVS helper on hand to explain about rationing, a military display, a casualty post and a downed pilot. Attention tended to centre around the large unexploded bomb that had appeared in the middle of the lawn, whilst children were put through their paces by an agile member of the Home Guard who drilled them before they attempted an assault course.